François joined The Fine Wine Experience team in April 2015. 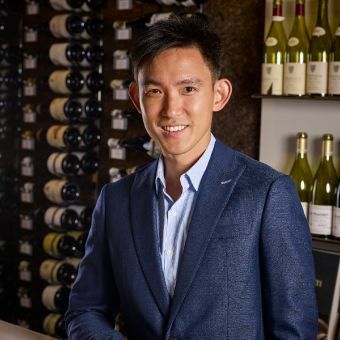 Prior joining the wine industry, he worked at a Chinese company to develop B2B trade for European kitchenware across Southeast Asian countries. As work did not leave him much time for his wine hobbies, he decided to go into the wine industry to develop his knowledge and passion for wine. François moved to Hong Kong in 2012. He has spent 5 years in Canada, then completed his Bachelor degrees in International Business and Finance at the American Business School of Paris & Master courses in Chinese Economy at Fudan University in Shanghai. He holds a Level 2 Certificate from the Wine & Spirit Education Trust (WSET), and currently taking Level 3 WSET courses. François was born and raised in Paris, France. He grew up in a multicultural environment as he’s half Cambodian, half Chinese. Wine has always been a big part of his French culture. Every meal (excluding breakfast) commonly includes wine. His interest grew after attending series of courses on wine fundamentals at Cordon Bleu in Paris. He then learned further by taking WSET courses as well as exploring different wine with friends. He enjoys learning languages, and can speak fluently French, English, some Cantonese, basic Mandarin, and fluent Chaozhou dialect. Carine joined the wine industry just 1 year after her graduation. Having attended some of the most prestige wine events due to her job nature, she learnt about wine with winemakers & winery owners whenever she can but later realised her notes were all over the place and needed a systematic way to put these knowledge together. 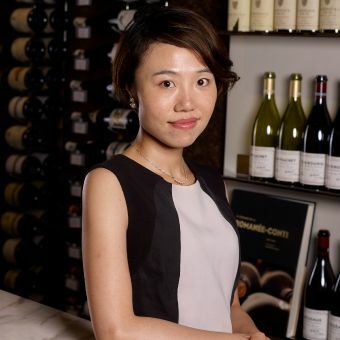 Therefore, she started taking WSET course in 2011. Carine holds a Level 3 Advanced Certificate from the Wine & Spirit Education Trust and a bachelor’s degree in International Journalism at Hong Kong Baptist University. She is working on her Master Sake Sommelier qualification at the moment. She likes cooking, food-styling & soap-making. Carine speaks Cantonese, English, Mandarin and little French & Japanese. Sora has been an enthusiastic and passionate wine lover for many years. He started his wine journey with one simple thought: “It sounds like fun being an expert in wine”. 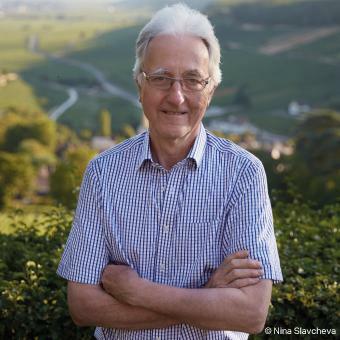 Prior joining The Fine Wine Experience team, he specialized in Burgundy wines and other top French wines. He has visited many wine regions in France, including working a harvest at Nicolas Potel, and through those experiences he gained valuable insights and knowledge which are difficult to learn from textbooks. His previous role was a sales director at L’Imperatrice, responsible for developing the China market in 2015. It was a challenging and eye-opening year being away from home, a year full of both professional and personal growth. His favorite part of his work was being able to meet many sophisticated and generous wine lovers in China, many of which remains his close friends today. He always says, “The more I learn, the more I realized how much I don’t know”, and that is what keeps him motivated and interested in wine. Sora enjoys drinking a bottle of wine in his spare time. This is what he calls in Chinese saying, “Man’s romance”. Another key component of his man’s romance would be music. He is an active bass player in a local band, Empty, and he has been part of it since he was 17 years old. Sora believes that life is too short to give up on things one truly loves, in his case, wine and music. Regina joined The Fine Wine Experience not long after her graduation. 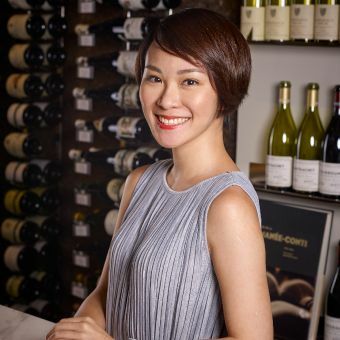 Since adolescence, she has developed an unexplainable passion about wine and started doing her own purchase, trying out wines from various regions. She knew in her heart for so long that she would enter the industry one day but had no idea how, then she came across The Fine Wine Experience - the vibe that she felt during her interview with Mike sold the company to her. Like most university graduates, Regina did her two-month round trip in Europe during which she finally got to visit actual vineyards. She was totally overjoyed by the scenery and touched by enthusiastic growers she met. She knew right at that moment that it is time to knock on the door of the world of wines. Having previously worked in wine auction events, the words “Latour" and “Romanee Conti" are not strangers to her, but it is a whole new level of emotion to see the actual bottles at TFWE shop, and hopefully one day, she will get to taste the wine. To Regina, being a wine sales is not only to assist customers with their purchase, but more about sharing wonderful experience and spreading love with wine as a bridge of human connection. That’s why she believes The Fine Wine Experience is the perfect fit. As a graduate of Communication Studies from the University of Western Australia, she is eager to build trusting connection with people around and in establishing genuine friendships. During her spare time, she writes and reflects a lot upon life and is always eager to improve herself as a person. Before moving to Hong Kong in 2012, I worked as a sales professional at an international trading and IT company in Taipei for over 10 years. During that period I went on many business trips to French-speaking Africa and many East and West EU countries; these trips greatly enriched my experience and created lots of valuable memories. I then switched career path and moved to Hong Kong and became a client services manager at a major wine auction house. After working in the wine industry for some years, I find that every bottle tells a beautiful story, either about the person who made the wine, the challenging weather for that particular vintage, or the history of the region. The world of wine is like an encyclopedia where you can keep learning more and more knowledge each day. The most exciting part for me is to enjoy wines with other passionate people, especially when you encounter bottles so rare that it could be once-in-a-lifetime experience. So far my most unforgettable bottle is the silky, sophisticated taste and elegant aroma from 1945 Petrus. In 2016, I joined The Fine Wine Experience, which consists of so many knowledgeable, passionate and professional staff. I believe that working in TFWE team will be much fun and there’ll be many more opportunities to explore about wines. I was born and raised in Taiwan. I hold the double-major bachelor’s degree in English and French. Other than my native language Mandarin, I also speak Cantonese, English, and French (depending on whom I’m talking to). I enjoy cooking, baking, traveling, movies and music during my leisure time. Linden has been involved in fine wine events for over twenty years, though he protests that that makes him sound old, and points out that it began when we was in his first year of university. Linden has over twenty years experience in fine wine events, and boxes filled with tasting notes. 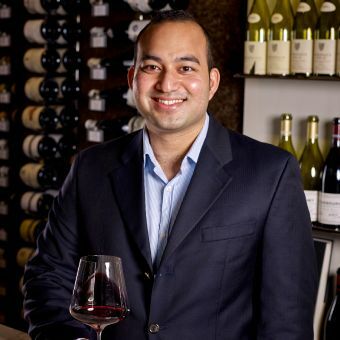 Organising and hosting wine tastings during his university years in Christchurch, New Zealand, while working nights as a sommelier, the wine bug had a firm grip by the time he was out earning an income in four year stint working in logistics. The “hobby” had become an obsession, and having decided to change careers to fine wine in 2002, Linden moved to London in pursuit of his dreams. 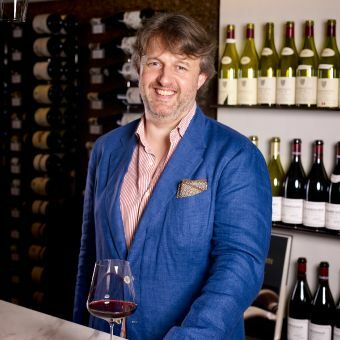 Linden created The Fine Wine Experience in London 2003, as a way to explore wine, to taste wines comparatively round the table with other enthusiasts. Yes, Linden is prone to get a bit misty on his favourite subject! The move to Hong Kong in 2010 felt more like a return to a familiar friend. Linden was an exchange student in 1989, living his last high school year here, while attending Wah Yan College, Kowloon. That experience got under his skin. The missing ingredient was a Hong Kong partner with the calibre to really make it work here. “When I met Mike, I knew it was him. Smart, very genuine, sincere but straight talking, analytically sharp, very curious about wine, and already very experienced in it. He also steps between the Chinese culture, acumen, and language of his native Hong Kong, and the articulate English and discipline of Cornell and Goldman with casual ease. To me, he epitomises what’s great about Hong Kong, and with him I know we can build something very special here." Linden holds various wine certificates, a BA in history with first class honours from the University of Canterbury (NZ), and an MBA from Brunel University (UK). Mike first met Linden 4 years ago at a wine dinner in Hong Kong and was immediately impressed by his encyclopedia-like wine knowledge and genuine character. Back then Mike was at his 8th year at Goldman Sachs, leading a team of equity option traders covering Asian indices. He was doing well and quite content with life, but deep inside he always had this passion and curiosity for wines, to the point where he would spend any free hours learning, reading, collecting and tasting wines. He knew he was destined to be involved in wines - he just didn’t know when and how. His calling came when Linden asked him to join The Fine Wine Experience. It wasn’t an easy decision to leave his well-paying finance job behind (especially for someone who understand risk/reward so well from his trading job), but it was one he must make. Got to love what you do – you only live once. He first caught the wine bug back in his college days when he signed up for “Introduction to Wines” at Cornell University. No it wasn’t a Petrus 90, Haut Brion 89 or La Tache that started it all. He actually drank Finger Lake Riesling and Napa Cabs throughout college, then spent a few years trying many high-scoring Bordeaux and Rhone, and eventually fell addicted to Burgundy. Throughout the years he has devoted significant amount of time to wines: attending multiple wine dinners a week, digging through hundreds of wine offers and trying to identify the best deals (trader’s mindset), and spending literally all his vacation days traveling the wine regions and attending key events around the world: La Paulee, Hospices de Beaune, German VDP Riesling auction, Allen Meadows Masterclass, Divino in Tuscany, etc. Ever since he got his first bonus in 2005, Mike would spend majority of it buying more wines…yes sometimes passion and addiction can be a fine line. He has since accumulated a wine portfolio of over 12,000 bottles, mostly for self-consumption and sharing amongst friends. Mike was born and raised in Hong Kong. He holds Bachelor degrees in Economics and Psychology, and a Master degree in Financial Engineering from Cornell University. He also holds a Level 3 Advanced Certificate from the Wine & Spirit Education Trust. We are delighted to announce that Anthony Hanson MW has joined The Fine Wine Experience as Senior Consultant. The Europe-based role brings to the business Hanson's considerable expertise and experience in wine, and in Burgundy in particular. Hanson has a highly distinguished career in wine stretching back to the 1960s. He became a Master of Wine in 1976, and co-founded London wine merchants Haynes Hanson & Clark in 1978. He has served on both the UK’s Royal Household, and its Government Hospitality, Wine Committees, been a senior consultant to Christie’s Wine Department where he played a major rôle in transforming the Hospices de Beaune wine auctions, has published books and articles on Burgundy, judged wine shows, and lectured and tutored on wine around the world. “I met Anthony in the early 2000s when I was organising fine wine verticals and horizontals in London. For several years he very kindly co-hosted The Fine Wine Experience Burgundy-themed events there. It’s not only his knowledge that is so appealing, but also his feeling for wine, his enthusiasm and natural sense for it. He’s an incisive taster. As a Hong Kong-based wine merchant, having Anthony’s representation for us in Europe is absolutely invaluable.” - Linden Wilkie, Director. “The 1st time Linden asked me to take part in a Fine Wine Experience was November 2004 – just one year after the company was formed – to taste 10 wines from Armand Rousseau, including Chambertin and Clos de Bèze 1997 and 1995, both served blind. That was a fabulous start, which led on to many other starry events, great bottles, tastings and meals together, with him, with Mike, and most recently also with Julie and Sora in Burgundy. It is a great thrill to be joining TFWE, and I much look forward to working with the incredibly talented, highly enthusiastic team, and to meeting some of the firm’s clients. I love tasting wines out of barrel, and we will be doing a lot of that together I hope, and not just in Burgundy. I love telling the stories behind the wines and the people who make them – watching inter-generational shifts as parents involve, hand over, and sometimes battle with the kids who will – one day, they hope – take over their vineyards. Listening to owners and wine makers, as we seek out delicious wines – some rare, some just superb value – is endlessly fascinating.” - Anthony Hanson MW. Astrid joined the Fine Wine Experience team in February 2014. Before she entered the wine industry she had previous sales and marketing experiences in the field of fine arts, finance, retail, and advertising. Astrid made the decision to switch career path because she originally chose something she didn’t develop a passion for. She always had a special interest in wine. She has been attending different wine tasting events and wine fairs here and there but never really knew what she was drinking. She always wanted to learn more about it and in 2013 she started taking the WSET course. “Wine is a perfect combination of art and science. There's an intriguing science behind the viticulture and vinification, how the grape variety and terroir contribute to a particular wine style. Tasting a bottle of wine is like appreciating an art piece carefully crafted by the winemaker. It offers an ocean of taste experience with unlimited possibilities. 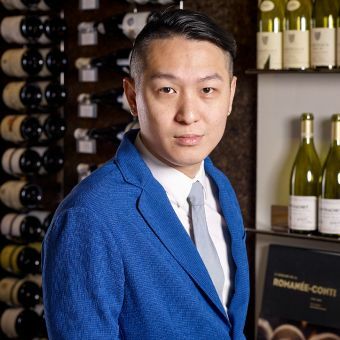 It's been an honor working at the Fine Wine Experience, a company with the collections of some of the most extraordinary wines and curates some of the best fine wine event programs in Hong Kong." Astrid holds a Level 4 Diploma Certificate from the Wine & Spirit Education Trust and a bachelor’s degree in Accounting & Finance at The University of Hong Kong. She speaks English, Cantonese, Mandarin, and a little French. She also loves cooking, traveling and playing squash. Born and raised in Hong Kong, Kat spent her first few years in the field of financial planning and robotics technology after graduation. To improve her Mandarin, she moved to Beijing and studied at the Beijing Language and Culture University in 2005. The turning point for Kat to become a wine professional is a movie called “Sideway”. The beautiful scenes amongst the wine regions and the interesting stories behind each of the wines/ bottles encouraged Kat to start her career in this industry. Not only has she attained lots of wonderful experience and unforgettable memory at fine wine symposiums and wine tours, she has also gained friendships she treasures most over the past 9 years. For professional study, Kat has completed WSET Diploma in 2012, Certified of Specialist of Spirit in 2014 and taking the WSET Sake Level 3 and WSET Wine Educator Level 3 training program this summer. In her spare time, Kat likes hiking, reading and watching movies. The “Sharp Peak” is always her ambition to take challenge for a decade. But MacLehose Trail No. 2 is still her best choice to go for a hike in a sunny day! Sure, she won’t forget to share the wines she likes with her friends and family at weekends. Burgundy is her favourite wine region due to its historical background, unique terroir and beautiful scenery. As she joined the company at the right time, Allen Meadows Symposium held this April offers her more in-depth understanding about the wine styles in different Burgundy communes! It was her first time to taste 14 wines from 1er cru to Grand Cru level at the same village of Chambolle-Musigny in one go. Comparing 2001 Musigny, Grand Cru, Domaine Comte de Vogue and 2001 Chambolle-Musigny, 1er Cru, Domaine Comte de Vogue side by side, which she learnt the concentration and precision of Musigny. The wines that most impressed Kat are 1990 Petrus, 2005 Meursault Coche-Dury, 2004 Vosne-Romanee Domaine Leroy and 1970 Dom. Perignon Oenotheque. ‘Live my life to the fullest’ – Tina is always curious about new things in life and keen to explore around. Growing up in London and studying in University of Oxford offered her great opportunities of wine tasting and gourmet food appreciation. She became passionate about wines as there was this one bottle of Burgundy that she opened with her coursemates at 2am in the lab when they were all stressed about the coursework. This magic bottle immediately filled up the lab with its beautiful perfume bouquet. One sip, its lively acidity together with those sweet ripe strawberries aromas and sage-like spices, gave everyone a great lift – the best drink at 2am in the lab for sure! 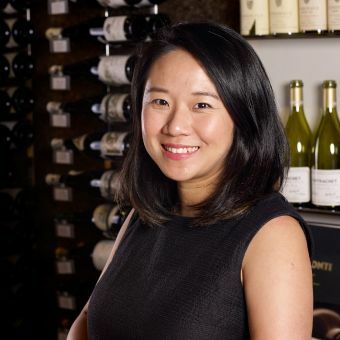 Upon her graduation, Tina joined investment banking in Hong Kong and a glass of good Burgundy was also her best companion at 2am when she was pushing for pitchbooks and memorandums. After a vineyard visit with Gerard Basset (OBE, MW, MS) in Burgundy, Tina totally fell in love with the region’s beautiful landscape and, of course, its lovely wines. Tina is amazed by how many stories one glass of wine conveys – its origin, history, geography, topography, grape variety (ies), viticulture, vinification, use of oak, yeast strain, maturation, chemical reactions, business and legal aspects and many more. She couldn’t be more eager to take on further wine study and French classes so that she could communicate more directly and effectively with the winemakers. Thankfully her study in WSET Diploma and her extensive reading on the subject help build a sound academic and technical foundation. 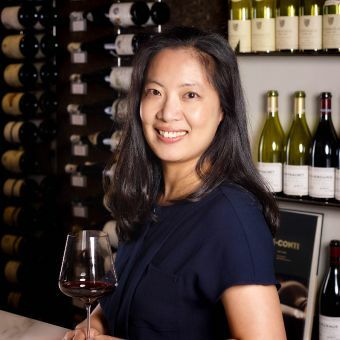 Most importantly, Gerard has been such a great mentor that she could never thank enough for his generous knowledge sharing and kind introduction for her network in wine trade in both London and Hong Kong. Her passion for wines and Champagne was also well recognised despite her short career in trade – she was honourably inducted as a Chevalier de Champagne de l’Ordre des Coteaux de Champagne. Wine has taken her to travel extensively around and into Europe (and of course gradually to the New World too) where she has met so many people with exciting stories that all help her become an independent and interesting individual with kindness and honesty. Tina joined The Fine Wine Experience in March 2017, officially starting her career in wine trade. She could not be happier to come to work every morning, with a group of enthusiasts sharing the same passion and goal. Since she joined, it has been an experience of fine wines every day. There are many ways to live a life and Tina chose to live hers to the fullest with wines taking the lead"
Louis was genuinely impressed by red wine for the first time when he was trying some classic Bordeaux Grand Cru Classé at home with his family. He had known nothing about wine at that time until he was introduced to the wine team of his university, where he found his enthusiasm for wine. He was then elected as one of the HKUST representatives in the Left Bank Bordeaux Cup 2016. During his preparation for the competition, he tasted hundreds of different Bordeaux wines produced from as early as 1970s to 2013 - the latest vintage at that time. When it comes to wine differences, whether diverse sub-regional characteristics, or subtle changes among various vintages, he had an impulse to get a good grip on them. 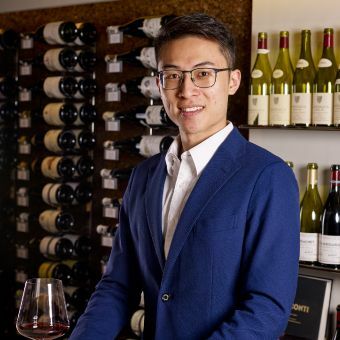 Not long after his graduation, he co-founded The HKUST Alumni Wine Association with several serious wine lovers, and has been promoting wine culture among the alumni community and on campus. His enthusiasm for wine has not faded a single bit after the LBBC competition, and instead set him off on a straight line toward a career in the wine industry. Before joining The Fine Wine Experience team, he would go to all kinds of wine tasting events a few times a week in the city. He has stopped doing it since then, after realizing TFWE is the true treasure-hunting place he has been looking for.